have begun working together to bringstreamlined project development services and PACE financing to commercial and not-for-profit building owners in NY State for solar photovoltaic, combined heat and power (CHP), LED Lighting and Cool Roof projects. 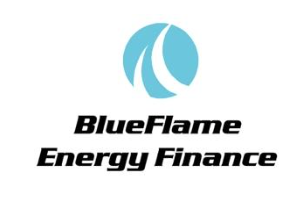 BlueFlame offers financing options in the Commercial and Industrial energy project sector. BlueFlame’s HyperQual, an end-to-end lead generation, underwriting and financing solution, helps to originate and fund small and middle market projects efficiently and at scale. BlueFlame will be using Energize NY’s innovative PACE (Property Assessed Clean Energy) financing to structure 10- and 20-year service contracts with their customers. Energize NY Finance is a Clean Energy Communities High Impact Action Item. Energize NY Finance, also known as Property Assessed Clean Energy (PACE) Financing, is a program adopted by an eligible local government that allows property owners to pay back the cost of clean energy upgrades to their commercial or non-profit property through a special charge on their property tax bill. Energize NY Finance enables eligible commercially-owned buildings in New York State to secure funds to tackle significant energy upgrades and renewable energy projects. This financing structure is available through the Energy Improvement Corporation (EIC) for projects that aim to install permanent improvements that reduce energy costs in existing buildings. EIC is a local development corporation and a New York State nonprofit established specifically to assist local government and property owners achieve long-term energy savings and/or generate renewable power for use on site. This entry was posted in Clean Energy Communities, News on July 21, 2017 by cstrong.